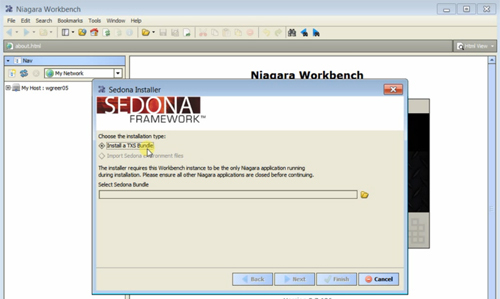 The Sedona Wire Sheet Development Video Series provides an example on building a Sedona wire sheet in the BASremote. 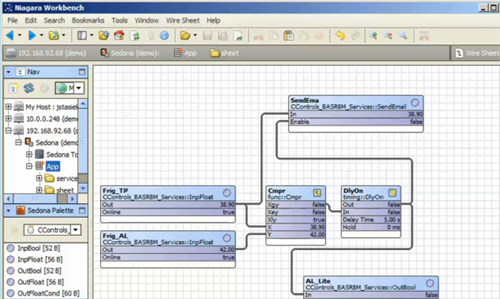 The application example is named "Monitoring a Refrigeration Unit". It is an application that monitors the refrigeration unit’s temperature, and when it is too warm, that information is annunciated via a contact closure and an email message. The video consists of three parts. 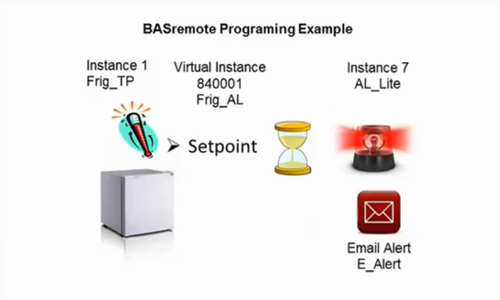 Part 3 shows the use of the Contemporary Controls developed monitoring tool called BDT (Bacnet Discovery Tool available free on the website). 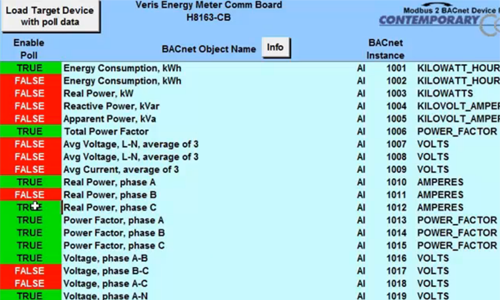 This tool lets us monitor the values of the BASremote via BACnet/IP communication protocol as bacnet objects and write the appropriate objects with new values.